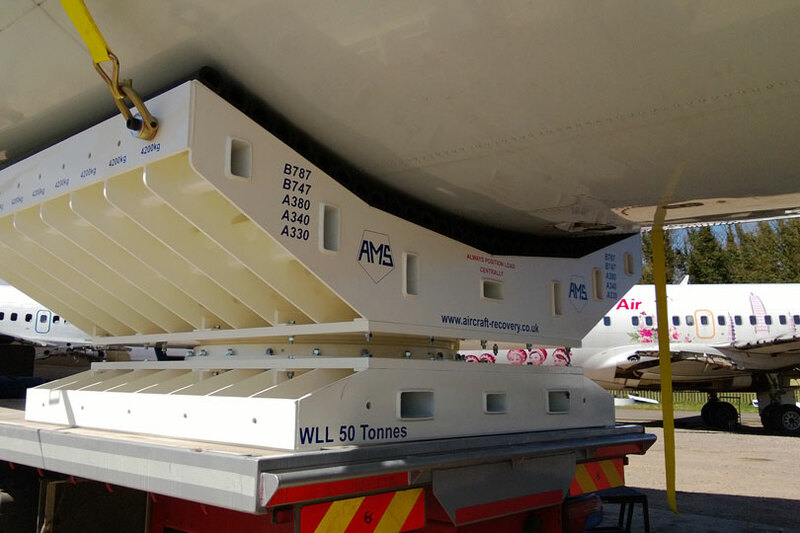 AMS have become industry specialists in the design and manufacture of turntable systems to recover aircraft suffering nose gear failure. 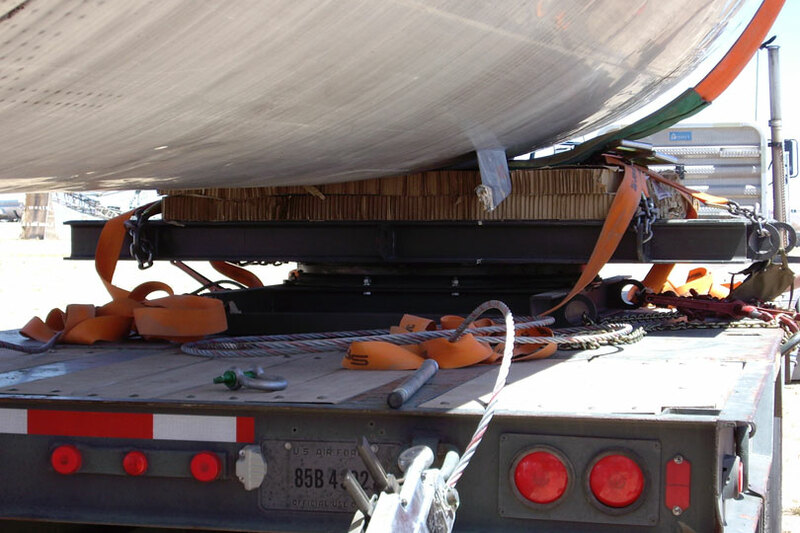 The ability to enable minor changes in the direction of pull during aircraft recovery makes turntables a vital piece of equipment. 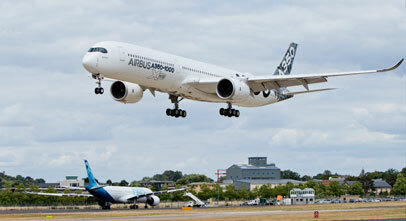 Our new 50 Tonne model takes this to a higher level, to cope with wide-bodied aircraft such as the A380. The 50 Tonne model was developed by combining data from 15 tonne AMS turntable units and discussions with BA’s recovery engineers. It incorporates a curved profile for a more secure fit of the aircraft fuselage and the deck is fitted with high density rubber buffers (to spread the load more evenly and prevent further damage). 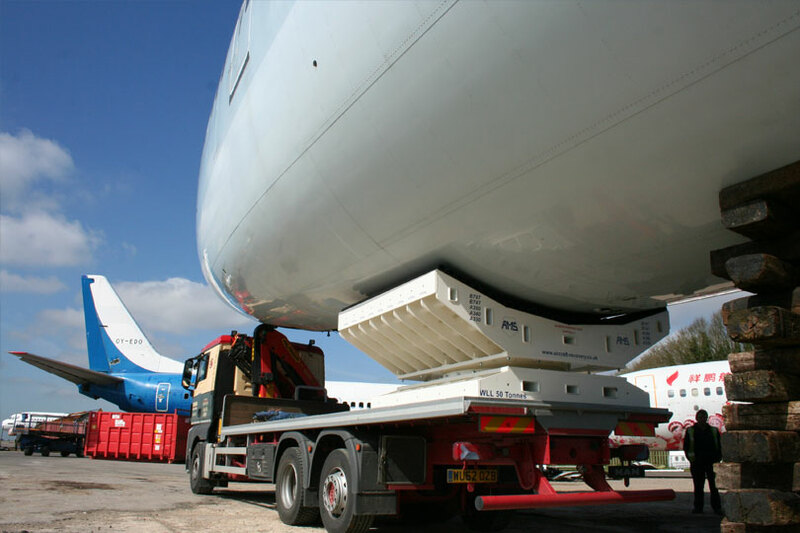 Both 15 and 50 Tonne models can be positioned on any suitable multi-wheeled transporter capable of carrying the load. 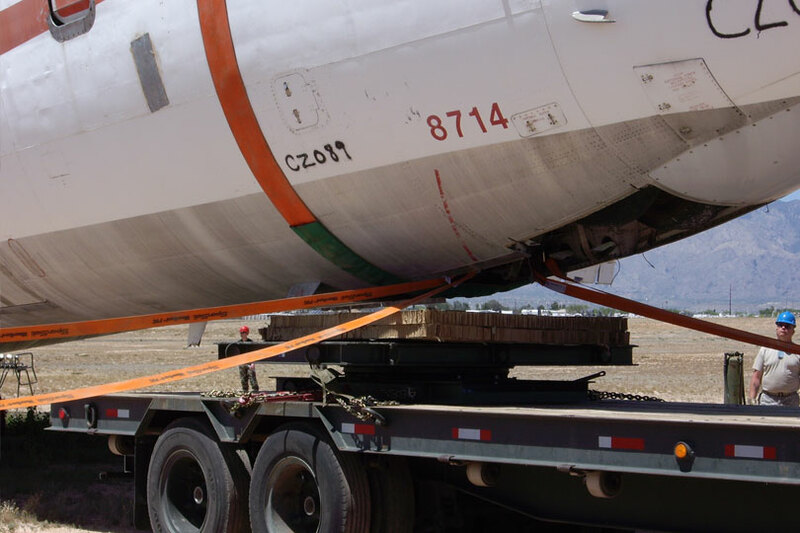 The disabled aircraft can then be moved as if the undercarriage was still in place. AMS turntables have been used many times in recovery situations and almost forty units are currently in use at major airlines and airports around the world. Our 50 Tonne model adds a new dimension by catering for the growing number of airlines adding A380s to their air fleets. Details on the new model are available by downloading our AMS 50 Tonne Turntable Information Sheet.